Thursday nights are not particularly special, besides being the day before Friday. During the glorious years of law school, Thursday nights played host to “bar reviews”, kicking off a weekend of procrastination and rehabilitation. 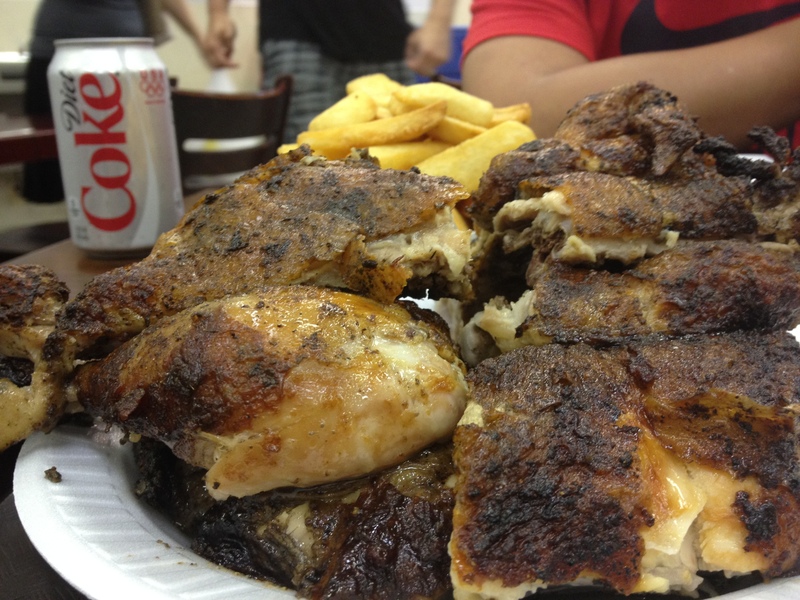 The smell of chicken fat burning in charcoal was present two blocks away from El Pollo Rico. 8 pm, and there’s no parking. After driving two loops around the place, I finally get in. When did this side of Arlington become such a hot spot? The place is packed, with mostly customers waiting for to-go orders, some greedily hunched over their plate of chicken. Three guys around a table, cans of Diet Coke and Inca Cola, steak fries, and a whole charcoal-roasted chicken beaming in eternal glory. One friend, Scholar, says he ate here just the other night, but what the hell, he digs in anyway. The other friend, the Chairman, is a Peruvian chicken virgin, and he seems impressed. Two lawyers and a historian. As usual, we start off with the political round up, meaning Scholar and I trash the GOP just to spite the Chairman (we always get a kick out of that). Oh the proud Texan and dedicated Old Party-er, but a swell guy. We catch up on life, studying, the job search, women, married life (a recent addition to the repertoire, thanks to yours truly). Overheard by any inquisitive listener, our exchanges, up to this point, are almost as meaningless as talking to an empty chair (who’s idea was that again?). Almost two whole chickens have been gnawed to the bone, soda emptied, steak fries gone, we change venues. Scholar introduces a coffee and wine joint down the street, and at 10 pm, the place is still hot. 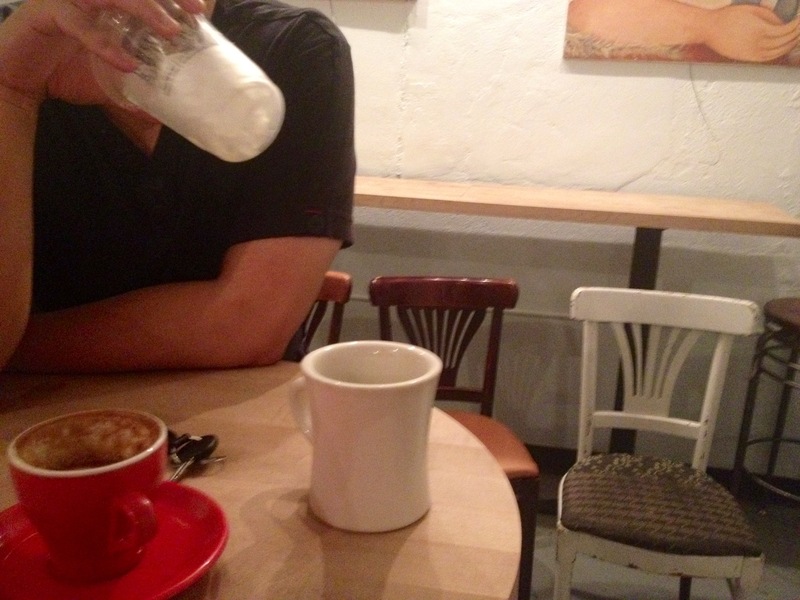 Northside Social is my type of coffee house. 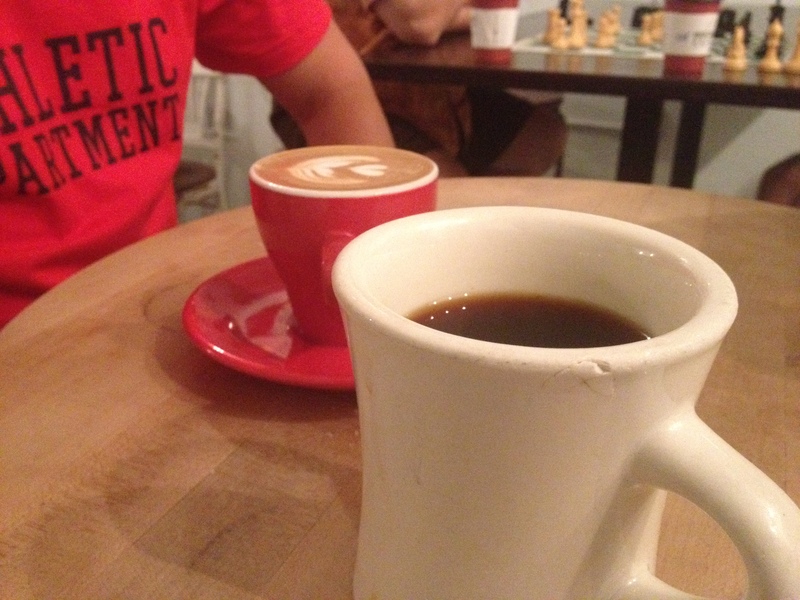 Casual, vintage-inspired, minimal deco, and most of all, great coffee (they brew Counter Culture). You know, coffee tastes different depending on what time of day you drink it, and also where you drink it under what circumstances. Counter Culture drip at 10:30 pm on a weeknight, belly stuffed with Peruvian chicken, T-shirt drenched with charcoal smoke – coffee, at that point in time, is at its magnificent peak. Who would have thought that we would have a dead serious discussion about poetry? I supplied the initial trigger, when I stated, proudly: law students are assholes, and lawyers are bigger assholes. Then from left field, Scholar diagnoses our assholeness to a lack of poetry. Our stale case books and stale minds, he lectures, must be entrenched with buttercream-moist-oozing poems to make up for the lack of humanity in our cursed souls.